Following the presentation on the Alamisco Inn renovation, Todd and Shelley Ward, Camp Rangers, were called to the front of the Gulf States Executive Committee on Tuesday, October 23, 2018. After spending countless hours of meticulous labor on the Alamisco Inn, and the regular operations of camp, which operates almost every weekend out of the year, the Wards were recognized for their exceptional work. 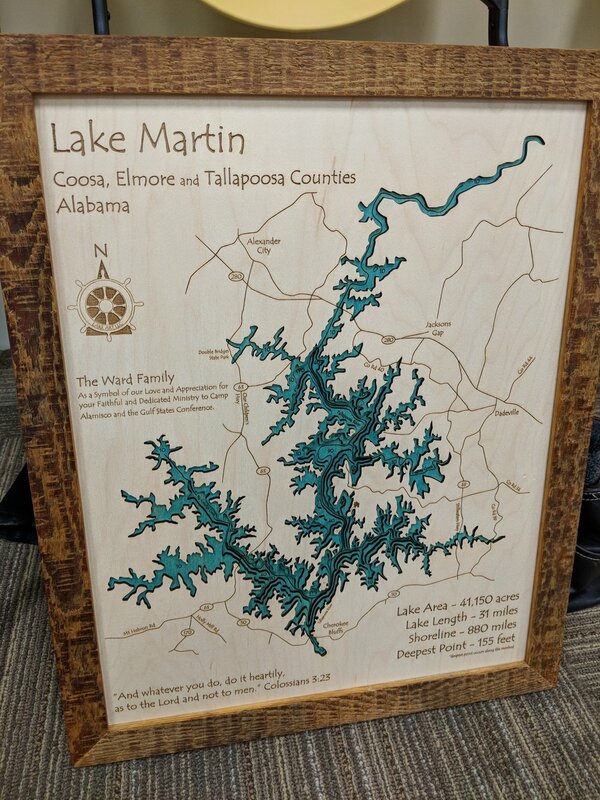 Elder Dave Livermore and Elder Brian Danese presented the Wards with a laser-cut plaque of Lake Martin with a custom inscription and a monetary bonus for their efforts. Ever-humble, the Wards credited their family and the volunteer efforts of past and present staff for the successful remodel of the Inn and daily operation of the summer camp.